Discover the underwater wonders of the Bora Bora lagoon aboard an underwater scooter. You have the option to travel on your own scooter, or share as two people can be comfortably seated in a large, dry, and panoramic dome. Inside the underwater scooter, you will breathe freely and naturally, and your head will always be dry. 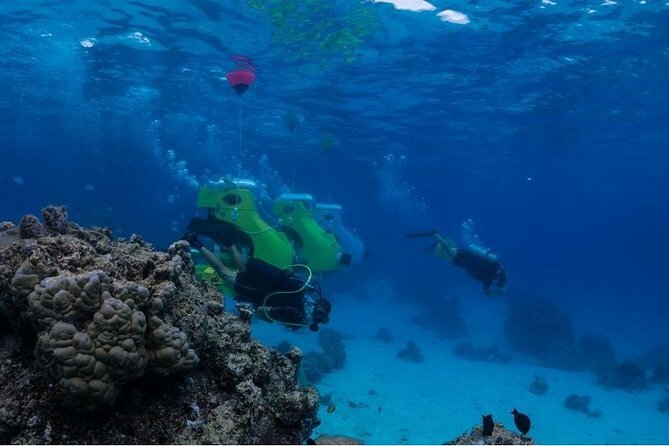 An electric motor will propel you during all of your 30- to 35-minute experience that covers a circuit of more than one kilometer and a depth of up to 3 meters below the surface. Nothing could be more simple. This small-group experience is suitable for all; there is no need to be an experienced diver or swimmer. La plaque-forme de la plongée en scooter sous-marin, situé au-dessus du magnifique corail au milieu de Bora Bora, après un bref briefing sur la manipulation très simple de votre scooter sous-marin et un briefing de sécurité, vous pourrez commencer l'activité et découvrir le monde merveilleux de Nemo, équipé d'une combinaison (selon la saison). Vous êtes intimement guidé tranquillement dans les eaux peu profondes (3 mètres) parmi les coraux colorés et les poissons exotiques. La plongée dure environ 30 à 35 minutes. Si vous effectuez une vidéo et des photos de votre plongée, un caméraman tirera votre formidable expérience aquabike et l'offre moyennant un supplément. Malheureusement, les enfants de moins de 7 ans et les femmes enceintes Aquabike. Les enfants de moins de 16 ans se trouvent sur le siège passager sur le scooter. CONRAD. MAI TAI . BEAHCCOMBERT .SOFITEL MARARA. SOFITEL MOTU. TEMANUATA. The underwater experience is one of a kind. 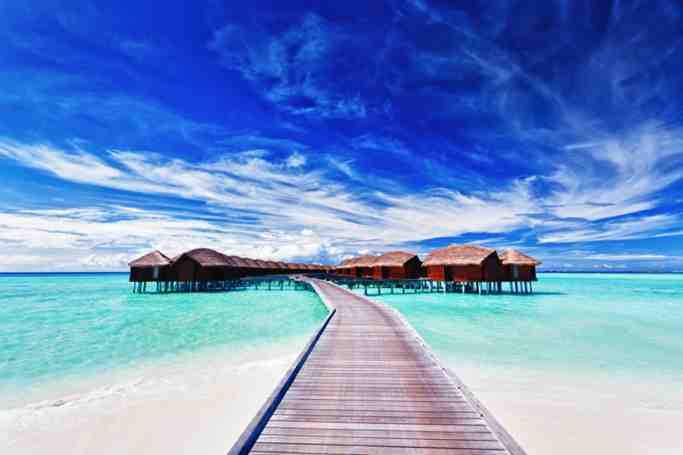 An activity that you should not miss when visiting Bora Bora. The staff were kind and they always ensure our safety during the activity. Thank you Aquabike Adventure! Really cool experience. We saw a lot of really pretty fish, up close without getting our hair wet. The guides, Remy and Louis let us get pretty hands on and also were very informed about what we were seeing. Tim and Remi was awesome guide/diver. We had a lot of fun. It was pretty short activity but we enjoyed a lot. This was a fun thing to do. Ive never scuba dived so this was the next best thing. Remi and Mart were great fun. particularly Mart was a barrel of laughs under the water showing us the various wild life. The fruit platter at the end was a bit under whelming, but all in all a great experience.